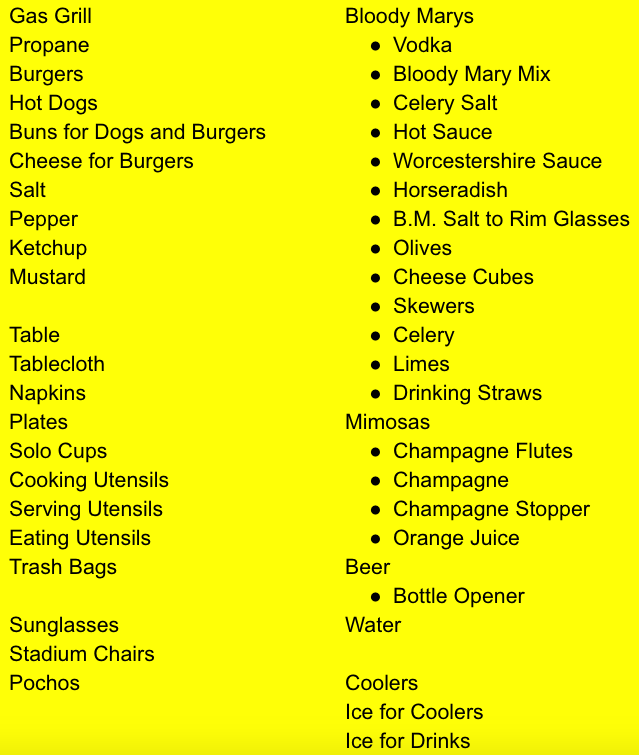 I'm a big fan of lists, and what could be more important than a list of all the food, drinks and accessories needed for a rocking tailgate party. 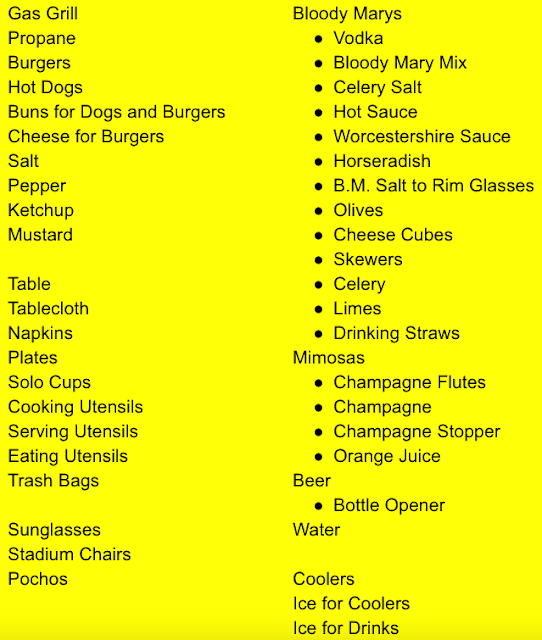 Not that we bring everything to every tailgate, it's more an all-inclusive list of things we might want to consider for a particular road trip and it's organized into sections to help see the big picture. The link below is to this two-column Google Doc that you can view and make your own copy. Sometimes it's nice to have an already-prepared starting point.